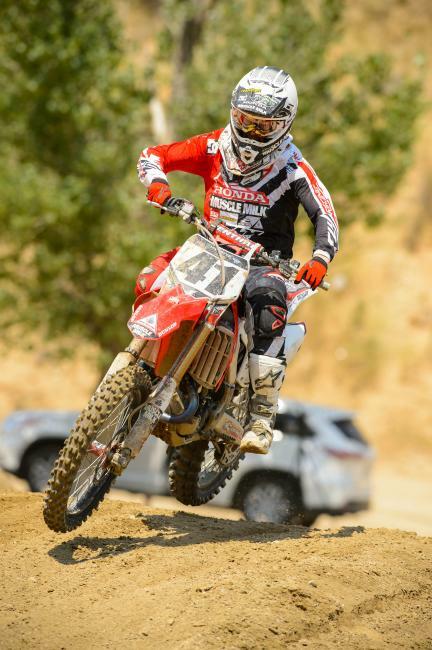 We’re posing the questions to our staffers, Jason Thomas, David Pingree and Steve Matthes. 1. Who is your title favorite in the 450 class? Jason Thomas: I think the obvious choice is Ryan Dungey. 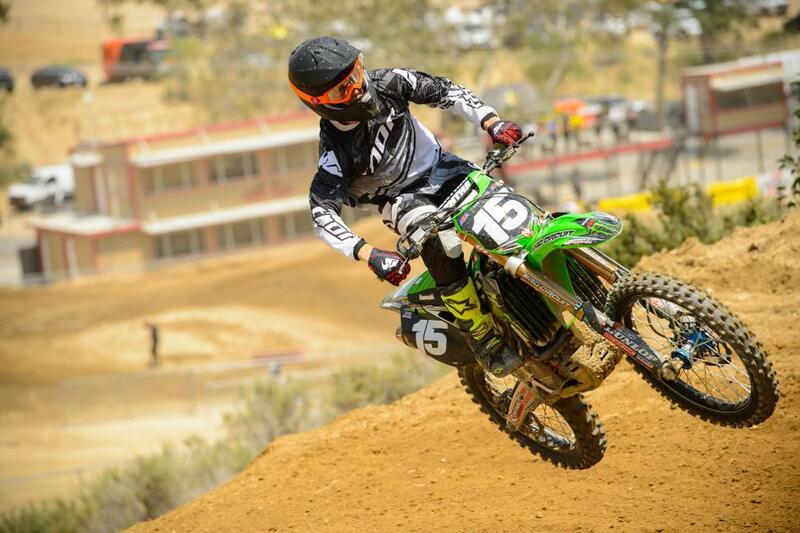 He’s extremely consistent and seems to be "the guy" when Ryan Villopoto is absent. I don't think he will run away with every race but he is simply too solid over 24 motos to lose this thing. David Pingree: I'm going the safe route here and choosing Dungey. There are a lot of things that can go sideways in 24 motos and Ryan is one of the most consistent riders ever. Roczen, Canard, Reed, Stewart and Barcia will win races but Dungey should earn the most points when the checkers fall on the very last moto. Steve Matthes: My head says it's going to be Ryan Dungey. The “Diesel Dunge” is just so fast, solid, consistent, steady, fast and… well, you get it. He's a two-time 450MX champion, he's probably better outdoors than in and he had James Stewart covered last summer. So it's got to be Dungey, right? Well, my head says yes, but my heart says that Stewart was better than Dungey indoors this year in every way possible and so his improvement will continue outdoors as well. Stewart's an all-timer and blazing fast. My heart says it has got to be him, right? Well, maybe not because he needs to show me (and everyone else) that he can indeed be consistent and finish all 24 motos—something he's yet to do since 2008, the season he went 24-0. Granted, he didn't ride outdoors the majority of those years. My heart says Stew, my head says Dunge. I think the head is going to win out in this one. 2. Who is your favorite in the 250s? Jason Thomas: I am going to go with Dean Wilson on this one. I think it's completely up for grabs, but when push comes to shove I feel that Dean's starting prowess and experience will carry him to his second title. The key for Dean will be in his mental outlook. He has shown a tendency to pump up at times when the lights shine their brightest. Having his 2015 contract signed should take the pressure off and let him to ride to his potential. David Pingree: Blake Baggett is the favorite here, in my opinion. He's won the title before and after a season and a half of injury and disappointing results he is really motivated to turn it around. He's the quickest rider on the track most of the time, he's fit and he has the equipment to win. Christophe Pourcel and Dean Wilson will keep him honest and earn their share of wins, but Blake is my pick for the title. Steve Matthes: Dean Wilson. Boom. I don't know what went on with Blake Baggett last year but we didn't see the 2012 250MX national champion out there. Maybe it was the wrist, maybe it was the breakup with trainer Aldon Baker. I'm not sure what is was, but when Blake won Budds Creek in a terrific ride I figured that he was about to get on a roll. But it just never happened. So I have questions about Baggett—especially after a so-so supercross season. Yes, I have questions about Wilson as well but that's just because he's been hurt. Both guys have questions surrounding them, but I feel there are fewer questions about Wilson. Or maybe Marvin Musquin is the favorite? Nah, there are questions about him as well. Flip a coin, Wilson/Baggett and I can easily see either guy winning this thing. I just hope Pro Circuit gets a title. I like those underdog teams. 3. Who will surprise in each class? Jason Thomas: I think the biggest surprise will be the number of winners we have. I feel that both classes will present a smorgasbord of different victors. If that happens, it will be an exciting season that may come down to the final moto in Utah. The past few seasons have been a bit of a runaway in the 450 Class, so a dogfight would be a welcome change. David Pingree: I was talking to some mechanics the other day who had been spending a great deal of time at local tracks over the past few weeks. These mechanics (not factory Honda guys) believed Trey Canard was going to surprise a lot of people when the series starts. He's been turning the quickest lap times at the tracks on a regular basis and he's been putting down solid, fast motos in the process. He's flying under the radar a bit with his early season injury but it sounds like he is up to speed and ready to make a real charge at this series. Trey has always had the talent and speed so this shouldn't come as a surprise to anyone. However, he has spent so much time on the sidelines with injuries over the past few years that he can be easy to overlook. Based on what I've heard and from what I saw the few times I've seen him ride in the past two weeks, Trey will be a big surprise in this class. In the 250 Class some may be surprised to see Christophe Pourcel back at the front of the pack. It shouldn't be a surprise. He's one of the most talented riders to ever throw a leg over a bike and he has unfinished business in this series. I think Cooper Webb will be strong this summer and probably finish closer to the front than most expected. It could be a good summer for Yamaha. Steve Matthes: I expect to see Darryn Durham make it back to being a top ten guy with some top fives at High Point or Budds Creek. I like Durham, he's had a terrible string of injuries here lately and I hope for his sake he can get his mojo back and get a new contract with someone for next year. That qualifies as a surprise, right? I don't think Christophe Pourcel will surprise anyone with his results but he will do something that will surprise us. I just don't know what. In the 450 Class, I think we'll see Eli Tomac be a surprise in the sense that he challenges for wins and overalls. I think that qualifies as a surprise. He's going to miss the first couple of races with a collarbone injury (probably), but I think he'll be better than most people think whenever he gets back. I know that most people think he's a top five guy, but I think he'll be better than that. And what about Brett Metcalfe? I think he's a top five guy—some people I've spoken to don't think so. I think the new Indiana race will be a success as well and I predict some fans will show up at Southwick on that weekend and try to go watch the National there.